Hello lovely people and thanks so much for stopping by to read more. I’m Chantelle Lewis and I am 33 years old. I grew up in the beautiful and quaint seaside town of Falmouth, Cornwall. For readers outside the UK, this is in the South-West of England. Here I lived with my Mum, Dad, two sisters and my brother. We are a really close family, with good morals and when we’re all under one roof it officially becomes a mad house! Our family has already extended; I have an amazing Nephew and Niece, who I love to Space and back, a wonderful Brother-in-law and a fabulous Sister-in-law, lucky for me both of which are fab and have become like additional siblings. I have always had a lust for life and for those who know me well would probably agree that I am outgoing, always singing, chatting, love to smile and put the ‘E’ in enthusiastic. I would definitely say I am a perfectionist and always endeavour to put 110% into everything I do. I love all things girly, anything with a splash of rainbow colour and everything branded with an anchor! I can’t live without Marmite, I home brew my own Kombucha and admit I may be slightly addicted to both coffee and peppermint tea! After completing my BA Hons degree at Middlesex University, I found myself auditioning for drama schools in the ‘big smoke’ and accepted a place at the prestigious Royal Central School of Speech & Drama (CSSD). 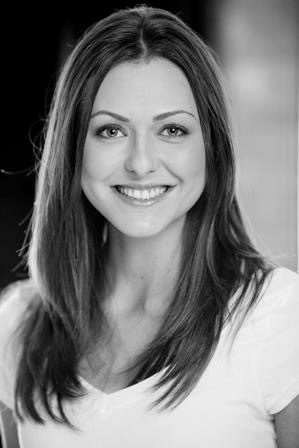 I studied and trained at a professional level in all key areas of Musical Theatre and graduated with a Masters Degree. This was an absolute dream come true and a real stepping stone towards what life would entail as a professional performer. When I was 26, I made the huge decision to put a temporary pause on city life, and head to sea to work as a stewardess within the private Super Yacht industry. I saw this as an opportunity to work hard and save money, but to also experience travelling to new places and embracing different cultures all whilst being surrounded by the natural beauty of the ocean. I thrived in this environment and I was finally able to put all my organisational skills and genuine love of cleaning to good use! I intitally decided to set up this additional lifestyle blog ‘Topix & Tales’ as I was spending a lot of time in bed at home or in hospital and just generally isolated. I have been unable to work now for about 5 years and really just needed to have something else to focus on other than my ill health. I like to keep my mind busy and day as full as my body will allow with something other than watching TV, staring at the four walls or talking to myself! I took a few years off of writing this blog due to unpredictable difficult times within this healing journey and personal circumstances. I felt I shouldn’t do the blog unless I could commit to posting frequently, but that then meant I didn’t blog at all. I am happy to say its a new year and I have new intentions for re-launching this blog and filling it with varied content, collaborations and positive vibes. I plan to be less harsh with myself, if I am too un-well to upload on a planned day, so I hope you can also be a little patient with me too! I have all the expectations that I won’t be this sick forever. Unfortunately for Chronic Lyme Disease and many of the other infections/conditions I suffer from there is no cure, but I won’t let this mean no life. I have high hopes for remission and eventually being able to maintain my A-Z of illness’ at a manageable level with both medication, natural supplements and nutrient rich foods. I still dream and plan to one day thrive in a career, whether or not this be on stage or television. I have loved my jobs working with children, working within the spectrum of special needs in education and also the field of hospitality both at sea and on land. I have never been one to sit still so you can try and imagine how living with so many limitations is not easy. I will continue to fight for my health until I am back loving and living life to the full. I like to hold on to the idea that anything is possible if you truly believe. I hope you enjoy reading my blog and I am genuinely excited to become an active part of a growing network of bloggers.